The following document is the minutes of the Ordinary Council meeting held 30 October 2014. These minutes are subject to confirmation as to their accuracy at the next meeting to be held on 13 November 2014 and therefore subject to change. Please refer to the minutes of 13 November 2014 for confirmation. Councillor JA Ainsworth declared a non-pecuniary less significant conflict of interest in Item 11.5 Waste Management Quarterly Report July - September 2014 under the Local Government Act as Cr Ainsworth’s wife works at the Anglican Op Shop. That the minutes of the Ordinary Council Meeting of 16 October 2014 be confirmed. That Cr John Ainsworth be granted leave of absence in accordance with Section 234(d) of the Local Government Act for the period 11 to 19 November inclusive. PUBLIC FORUM from Mr Paul Linder –Living next door to a "rubbish dump"
That the Public Forum and Delegation be brought forward. That a report be given to Council in Closed Meeting providing history of the matter as well as maps and photographs to illustrate any concerns. Further, that Mr Linder be notified of this action. Trial collection of bagged clothing being placed in the recycle bin undertaken in October/November to part of the Valla Beach area. Suitable items then provided to local Opportunity Shops. 1 That Council receive and note the information provided in the Waste Management Quarterly Report for the period July – September 2014. 2 That Council endorse the Better Waste and Recycling Fund for the period 2013-14 / 2014-15 as approved by the EPA. 2 That Council endorse the Better Waste and Recycling Fund for the period 2013-14 / 2014-15 as approved by the EPA; with the exception of the clothing collection trial; and further that in the meantime Council discuss the clothing trial and any proposed program with the contractor and the opportunity shops and that a further report come back to Council including how it is to be paid for. 3 That an education program be provided to the Schools in the Nambucca Valley. Mr Geoff Allen addressed Council with a PowerPoint presentation of the 2014 Audit conducted by Forsyths. 1 That the Financial Statements and the Auditor’s Reports for the year ended the 30 June 2014 be received. 2 That the list of revotes be approved and included as sub votes for 2014/15. 3 That Council thank Mr Allen for his presentation. That the information concerning the lodgement of an expression of interest for a pilot North Coast Joint Organisation be received. That the information concerning a pollution incident arising out of break in a sewer rising main at Hyland Park be received. ITEM 9.4 SF1977 301014 Planning Proposal LEP amendment no. 18 Reclassification of community land to operational land on Multiple Land Parcels - results of exhibition. 1 That pursuant to Clause 59 of the Environmental Planning and Assessment Act 1979 the Planning Proposal (LEP amendment no 18), associated documents and submissions be forwarded to Department of Planning and Environment requesting that they seek the making of the Plan by the Minister. 3 That Council formally thank Ms Liz Jeremy, General Manager of Bellingen Shire Council for her pro bono services in conducting the public hearing. That DA 2014/158 be called in for determination by Council and that Council undertake an inspection of the site at an appropriate time. Item 10.1 was dealt with under Presentation earlier in the meeting. That this report be deferred until the financial statement has been received from the Committee of Management. · Wallace Lane – 6.00am on 29 November 2014 to 3.00pm on 30 November 2014. · Road Occupancy Licence for the Pacific Highway closure. · Cooper Street - Wallace Street to Boundary Street. a Consent from all owners has been received and an agreement entered into with Council undertaking by way of land swap of land to be resumed for road and that to be closed be transferred to the adjoining property owner at NIL expense to the adjoining property owners. 2 That Council open a road of minimum width 20 metres and variable in parts, over the sections of the formation of Taylors Arm Road from Argues Road for a distance of approximately 1 kilometre to the East which encroaches upon land owned by Mr PJ Argue & Mr TS and Mrs JA Donnelly and any costs associated with the road opening be paid by Council including (but not limited by) survey, legal, valuation and Council fees. 3 That Council carry out the Road realignment survey concurrently on the same plan to minimise costs attributed to this work. 4 That Council allocate an amount of $6000 from working funds to cover the expense required for the road opening, survey, legal, valuation and Council fees associated the realignment of Taylors Arm Road from the intersection with Argues Road to approximately 1 kilometre east of the intersection. The Ordinary Council Meeting's Meeting IN CLOSED MEETING commenced at 7.22 pm. That Ordinary Council Meeting resume in Open Meeting. The Ordinary Council Meeting resumed IN OPEN MEETING at 7.25 pm. That Council receive and note the information, and delegated authority be provided to the Assistant General Manager Engineering Services and the Waste Management Officer to enter into negotiations with the Coffs Coast Waste member Councils to resolve the dispute. There being no further business the Mayor then closed the meeting the time being 7.26 pm. Confirmed and signed by the Mayor on 13 November 2014. Awaiting next round of the Government’s dredging program. Arrangements now being made for the RMS and Acciona Ferrovial (now Pacifico) to address a special meeting of the Estuary Committee to be held on 4 December 2014. Response received from residents’ solicitor advising that all communication has to be between Council’s solicitor and the residents’ solicitor. Council note that Quarry Solutions have lodged a Class 1 application with the L&E Court seeking approval to a further application to modify the consent for the Valla Quarry. Deputy Mayor & GM met with Council’s solicitor on 21 October. Arrangements being made to advertise the application. Preliminary legal advice is that Council will need to consider the application and put a position to the Court. Further report in agenda of the Council meeting on 13 November 2014. The NSW Government has now announced its response to the Joint Standing Committee on Electoral Matters’ Report entitled “Inquiry into the 2012 Local Government Elections”. The Standing Committee’s report was published on 28 March 2014 and the Government’s response has taken nearly seven (7) months to be announced. The Government has announced its intention to allow Council’s to undertake compulsory postal voting but does not believe it can be arranged for the September 2016 local government elections. In March 2014 the Joint Standing Committee of Electoral Matters reported on the conduct of the 8 September 2012 Local Government elections. The major difference in the election compared to previous elections was that councils were able to choose whether to engage the services of the Electoral Commission to run their elections or whether they would manage their own elections. Most councils that chose to run their own elections contracted a third party – the Australian Election Company – to assist them. On the whole, the Committee heard that these arrangements went very well. The NSW Government has now announced its response to the Report. · The Government proposes to seek amendments to the Act to provide that where a council does not intend to enter into an arrangement with the Electoral Commissioner to administer its elections, it must, at least 18 months before the next ordinary election, demonstrate to its community that it has the capacity to successfully administer its own elections by way of a resolution of the council. · The Government agrees with the Committee that the current requirements for candidates to open a campaign account where they receive political donations or incur electoral expenditure that exceeds $1,000 and to appoint an official agent are unduly onerous in the context of Local Government elections and serve as a disincentive to participation by candidates in the elections. The Government supports in principle amendments to the Election Funding Expenditure and Disclosures Act 1981 to address this, but considers that any proposed amendments should be deferred pending the completion of the work by the Expert Panel on Political Donations so that this issue may be considered in the context of the outcomes of that review. · The Government acknowledges the resource impacts on councils of having to conduct by-elections and agrees that where vacancies arise within 18 months of an ordinary election, councils should have the option of being able to avoid the cost of a by-election through use of a countback system to fill the vacancy. It is proposed to amend the Act to allow for this. The use of a countback system will not be available however where the vacancy arises in the office of a popularly elected Mayor. The Government considers that it is important that the community has an opportunity to directly elect a replacement for popularly elected Mayors at a by-election, given the important community leadership role of that office. It is intended to require councils to decide by resolution at the start of their term whether vacancies that arise in the 18 months following the election are to be filled by way of a countback system. Councils will not be allowed to change this decision. · Postal voting provides a potentially cheaper alternative to attendance voting and makes it easier for electors to participate in Local Government elections. The Government therefore supports councils being given the option of offering postal voting as an alternative to attendance voting and giving individual electors the choice to exercise their vote in this way where a council decides to conduct their election by way of an attendance vote. However the Government says that before this can be implemented, further work needs to be done to ensure systems are in place to support universal postal voting. It is unlikely that this will occur before the September 2016 Local Government elections. Comment: It is pleasing that the NSW Government has supported Council’s request. However there is inadequate explanation as to why the systems required to support universal posting voting cannot be implemented within the next 2 years before the September 2016 elections. · The Government supports any measure that maximises voter participation and agrees that maintaining a pre-poll alternative is an important voting option. The Government agrees that the best way to achieve this is to maintain the existing 2 week pre-polling period and to abolish the criteria electors must meet before being able to cast a pre-poll vote. Comment: The Government did not accept Council’s recommendation in relation to reducing the time made available to pre-poll voting. In fact they propose to move the other way by abolishing the criteria for pre-poll voting. Without postal voting it is likely that pre-poll voting in the 2016 election will be more significant which will mean a potentially greater call on candidates to staff the pre-poll voting centre for a period of 2 weeks. · The Government acknowledges the frustration and red tape burden of non-residential electors having to re-enrol ahead of every election in order to vote at Local Government elections. The Government agrees that this is also a potential deterrent to participation by non-residential electors at Local Government elections. The Government proposes to address this by seeking an amendment to the Act to make the non-residential rolls permanent. · The Government agrees that where, as is the case for the City of Sydney, 78.5% of ratepayer revenue is derived from the business community and other non-residents, electoral architecture needs to be put in place to ensure equity and fairness. For this reason, the Government supported the Bill introduced into the Parliament by the Shooters and Fishers’ Party to amend the City of Sydney Act 1988 which gave effect to the Committee’s recommendation. The key feature of the legislation as passed through Parliament is setting a maximum of two eligible persons to be enrolled per business, including for each business operating in shopping centres. These changes will only apply to the City of Sydney. Possible extension to other economic centres may be considered in the future. There has been no consultation in preparing the report. There has been discussion in the media and at the LGNSW Conference concerning the changes to voting for the City of Sydney. Whilst most recognised that the temporary non-residential rolls disenfranchised the business community, there has been speculation as to whether the changes go too far the other way. There are no identifiable risks. There is no impact on staff resources. Council is the owner of 17.6 hectares of land being Lot 40 DP 711098 which is zoned RE1 Public Recreation. The land adjoins the Kingsworth Estate and contains a large dam. Council has now received an enquiry from Pacifico being the Acciona Ferrovial Joint Venture constructing the Warrell Creek to Nambucca Heads upgrade of the Pacific Highway for the use of the water in the dam. They propose to use it as construction water in the compaction of material and also in dust suppression. Their project engineer has noted that water resources for use in the project are scarce and they are looking at all possibilities including the waste water from Council’s Macksville Sewerage Treatment Plant. The adopted plan of management for the land provides for the provision of a road to the existing dam so that it (the dam) may be used for water in times of drought and for water to be used for fire fighting purposes or as a dust suppressant at other times. Notwithstanding that the Plan of Management specifically provides for the use of water from the dam for dust suppression, the Local Government Act (Section 47) still requires a lengthy process of community consultation before Council can enter into any lease or licence in respect of the land. This lease or licence would be required to allow Pacifico to utilise the dam water. a A suitable lease or licence arrangement being entered into for the use of the land. adverse impacts on the environment. d Pacifico meeting all of Council’s costs in the matter. 2 Further, that if Pacifico wish to proceed on the above terms, that there be a further report to Council advising of the outcome of the environmental assessment and any submissions received through the public consultation process so that Council may decide on a lease or licence arrangement and the terms of such lease or licence. Council can deny access to the use of the water in the dam. The Kingsworth Lake Reserve, being Lot 40 DP 711098, was dedicated to Council as part of a developer contribution and was categorised as community land (Natural Area, Bushland) on 4 May 1995. It has an area of 17.6 hectares, much of it being a large water body (dam). of the land that are set out in a recovery plan or threat abatement plan prepared under the Threatened Species Conservation Act 1995 or the Fisheries Management Act 1994. An aerial photo with cadastral detail showing the reserve is attached. The land is zoned RE1 Public Recreation, except for a small area the subject of a proposed land swap which is zoned R5 Large Lot Residential. Currently the land has no recreational use and indeed has no constructed access for either pedestrians or vehicles. A plan of management for the land was prepared in January 2012. The adopted plan of management for the land is attached. It provides for the provision of a road to the existing dam so that it (the dam) may be used for water in times of drought and for water to be used for fire fighting purposes or as a dust suppressant at other times. It is understood that the water body adjoining Kingsworth Lake was constructed as a water storage for agricultural irrigation. It supports a variety of aquatic plants and bird life. Provided the extraction of water is managed so as to maintain a reasonable water level in the dam there is no “in principle” objection to the proposal. Under Section 46 of the NSW Local Government Act 1993, the Council may issue a lease, licence or other estate in respect of community land, in accordance with an express authorisation in the plan of management for a purpose which includes the provision of public roads. In this instance the plan of management expressly identifies the use of the dam water for dust suppression. Under Section 47A of the Act for leases, licences and other estates in respect of community land for terms of 5 years or less, the proposal must be notified and advertised for a period of 28 days and any person may make a submission in writing to Council and before granting the lease, licence or other estate, the council must consider all submissions duly made to it. In the interests of assisting in the construction of the Pacific Highway upgrade and minimising its cost, the proposal from Pacifico is considered reasonable, subject to a suitable lease arrangement being entered into for the use of the land, an environmental assessment being undertaken to demonstrate how the water extraction will be managed to ensure that it will no adverse impacts on the environment; and thirdly the outcome of the public consultation process required by Section 47 of the NSW Local Government Act. There has been consultation with Council’s Strategic Planner and with a project engineer for Pacifico AFJV. It is proposed that the applicant prepare the necessary Part V environmental assessment for consideration and determination by Council. The provision of adequate water for the highway upgrade for compaction and particularly dust suppression is in the community’s interest. Further if water has to be obtained from more remote sites, the RMS and therefore the taxpayer may have to fund a contract variation for the additional cost. Council is not privy to the contract between the RMS and the Acciona Ferrovial Joint Venture so the financial consequences of a shortage of water are unknown. As indicated if water has to be obtained from more remote locations, there may be additional costs incurred by the taxpayer for the construction of the Pacific Highway upgrade. Notwithstanding that the Plan of Management specifically provides for the use of water from the dam for dust suppression, the Local Government Act (Section 47) still requires a lengthy process of community consultation before Council can enter into any lease or licence in respect of the land. The Act provides that the Minister for Local Government may determine the matter, presumably if the Minister receives objections and elects to “call the matter in”. An adjoining owner who purchased land off the developers of the Kingsworth Estate has recently telephoned myself advising that he has “access rights” to the water contained in the dam. The adjoining owner has been advised to submit documentary evidence to Council of these “access rights”. At the date of preparing this report no evidence had been submitted. Council’s future budgets would benefit from whatever the licence or lease rental is agreed to be. There would be a benefit to working funds for the sum of any licence or lease rental paid for part of a year. There is a large amount of administrative work required to deal with the request. This includes negotiating the lease/licence and processing the public notice and reporting on any submissions to Council. The land was categorised as community land (Natural Area, Bushland) on 4 May 1995 and was dedicated to Council as part of a developer contribution under Section 94 of the Environmental Planning and Assessment Act 1979. It was indicated at that time that the design for subsequent stages were preliminary and “minor variations in boundary location between lots and proposed public reserve may be necessary”. This plan applies to the community land in the category of Natural Area, Bushland. It is intended to cover the land known as Part Lot 40 DP 711098 Old Coast Road, Kingsworth Estate. 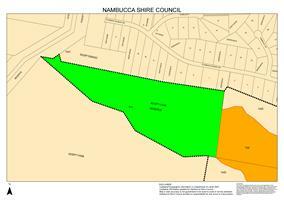 Nambucca Shire Council is the owner of the land. Part Lot 40 DP 711098 Old Coast Road Kingsworth Estate. There are no leasehold details associated with the land known as Part Lot 40 DP 711098 Old Coast Road, Kingsworth Estate. The report seeks to formalise a number of changes to the organisation structure which have already been effected. The position of Payroll Officer has been undertaken on a part-time basis since July 2014 at the incumbent’s request on her return from maternity leave; the position of Water Attendant was vacated in August and recruitment is currently underway for the position of Plumber; the position of Manager Civil Works has recently been re-titled Manager Infrastructure Services to coincide with the appointment of a new incumbent and to signify a change in direction for the delivery of our capital works program (accordingly, the Civil Works section has been retitled Infrastructure Services section); the position of Community Development Officer (Designated) is currently being advertised and has been changed from part-time to full-time; and the position of Youth Development Officer has been replaced by the position of Senior Community Development Officer. The changes will reduce the establishment from 121.74 to 121.54 (full-time equivalent staff). A copy of the draft organisation structure chart is attached. Council can adopt the recommendation or retain the status quo or make another determination. · capability within the Human Resources section to perform payroll function. The reduction in resourcing has had an impact on the Human Resources section, for instance with regards to payroll, workers compensation, training, periodic reporting and general administrative assistance. However, the introduction of fortnightly pays should help to overcome this. · the position be altered from full-time to part-time (21 hours per week) with the proposal being referred to the consultative committee “for information” as per Clause 25 of the Award. · That the savings (approximately $23,000 per annum in salary plus super) be used to reduce the budget deficit. The change was endorsed by the General Manager and the position of Plumber is currently being advertised. The additional cost in terms of salary plus superannuation is approximately $5,800 per annum. The position of Manager Civil Works has recently been re-titled Manager Infrastructure Services to coincide with the appointment of a new incumbent and to signify a change in direction for the delivery of our capital works program. The section has been retitled to reflect the change in the Manager’s title. The position of Community Development Officer (Designated) is currently being advertised. It has been changed from part-time at 28 hours (4 days) per week to full-time with the aim of attracting a suitable candidate for the position after several previous attempts to recruit were unsuccessful. The additional cost in terms of salary plus superannuation is approximately $10,500 per annum which is fully funded from grants. The operational responsibilities associated with the Youth Development Officer position will be shared between the Senior Community Development Officer and the Community Development Officer (Designated). The Senior Community Development Officer has a broader focus and higher level responsibilities, hence the title. The additional cost in terms of salary plus superannuation is approximately $18,700 per annum which is fully funded from grants. Saving of approximately $23,000 in General Fund, ongoing. Additional expenditure of approximately $5,800 in Water Supply. There will be a minor impact on General Fund and the Water Fund for the balance of the financial year. Within the Human Resources section, there has been some shifting in priorities to ensure operational deadlines are met. As further productivity improvements are introduced, such as fortnightly pays, priorities will be adjusted accordingly. The dispute concerns the liability for rates on residual privately owned land arising out of the partial acquisition of properties for the Pacific Highway upgrade between Warrell Creek and Nambucca Heads. There was firstly a contention that rates were not payable on the residual land for the balance of the financial year after the partial acquisition and secondly that if rates were payable, they should only be payable on the revised or reduced valuation for the balance of the financial year. Section 62 of the Valuation of Land Act 1916 says that Council’s rate levy can only be based on values appearing in valuation lists furnished on or before 1 July of the year in which the Council levies the rates. In the opinion of staff it would not be lawful to issue revised rate notices as requested by Mr and Mrs Sheather. If the Council accepts the arguments put by Mr and Mrs Sheather and Mr McIlwain, it is suggested that the General Manager be instructed to “write off” the debt of Mr and Mrs Sheather and Mr McIlwain. Council may also care to instruct the General Manager on how he should deal with other enquiries requesting the same consideration. Given the legal and precedent risk, an alternative and safer option to “writing off” the debt would be for Council to seek legal advice to corroborate or otherwise the opinion of Council’s Rates Officer and the General Manager. Based on recent legal matters, the cost to Council of getting legal advice would be in the vicinity of $2,500 to $4,000. On 8 May 2014 the Mayor, Council’s Rates Officer and the General Manager met with Mr & Mrs Sheather from Old Coast Road and Mr McIlwain from River Street, Macksville concerning a disagreement over the payment of their remaining rates instalments for the 2013/2014 financial year. The disagreement turns on the wording in the contracts of sale which the Sheathers’ and Mr McIlwain entered into with the RMS for the purchase of part of their properties for the Pacific Highway upgrade between Warrell Creek and Nambucca Heads. The Vendor shall be entitled to the rents and profits up to and including the Completion date and the Vendor shall pay all rates, taxes and outgoings up to and including the Completion date (this includes the payment in full of the quarterly instalment of rates and charges for the period including the Completion date) and the purchaser shall not be bound or called upon to make any appointment of rates, taxes and outgoings in respect of either the period between the Contract date and the Completion date or the period on and from the Completion date. Both the Sheathers’ and Mr McIlwain believe their obligation to pay rates is restricted to the period up to and including the completion date as provided for in the clause. The clause is silent in relation to responsibility after the completion date. Council has been advised that the settlement for the partial acquisition of the Sheathers’ property occurred on 12 December 2013 and settlement for the partial acquisition of the McIlwain property occurred on 17 December 2013. Rate instalments were due to be paid on 28 February 2014 with a further instalment due on 31 May 2014. Both the Sheathers and Mr McIlwain advised Council that they will not pay either instalment as they do not believe they are liable under the provisions of Clause 34 of the contract. Following the meeting on 8 May 2014 I wrote to the RMS on 9 May 2014 advising of the issue and querying why the normal process of adjusting rates as part of the settlement cannot be applied by the RMS in their compulsory acquisitions. Council has had previous issues with the RMS wherein as a matter of policy they do not obtain from Council Section 603 certificates which indicate the outstanding rates on the land which are owed to Council. In one instance this resulted in the RMS paying a substantial settlement to a property owner for a partial acquisition at the same time that Council was owed approximately $15,000 in outstanding rates. Those rates are still outstanding. I travelled to Grafton on 27 May 2014 to meet with RMS staff to discuss a number of issues including the grievances of Mr and Mrs Sheather and Mr McIlwain. The RMS staff advised that they do not get Section 603 rates certificates for partial acquisitions and that they do not do a rates adjustment for the balance of the financial year. The RMS staff referred to Council as being just a “third party” creditor who they could have no particular regard to. The RMS said that they were not liable for the remaining rates instalments for that financial year. The RMS response was communicated to the ratepayers. Subsequently, on 4 August 2014 Mr and Mrs Sheather wrote to Council advising that they have no problem paying rates on any land they own and that when Council adjusts the rates on the residual land for the 3rd and 4th quarterly instalments for the 2013/14 year to the new and current VG valuation (without the 2014/15 rate increase) and provides a new and revised rate notice for those two quarters that they would be happy to pay the outstanding rates on the land that they own immediately. Therefore the contention now is that as the value of the residual land which is in their ownership was reduced post settlement, and that it is unfair that they have to pay the remaining rates instalments for 2013/2014 based on the valuation of the land prior to the transfer. Since August 2014 there have been further exchanges of correspondence and the ratepayers have publicised their grievances through the media. By letter dated 12 August 2014, Council provided the ratepayers with a further period of 30 days to pay the outstanding rates without incurring interest but that after this period they would incur interest and that Council would hand the matter to its debt recovery agent without any further notice. Council’s Rates Officer has determined that for the Sheather property the difference between the rates as levied on the 1 July 2013 valuation and the reduced valuation post the partial acquisition, for the outstanding 3rd and 4th quarters, amounts to $385.83. Following a payment in October 2014 this is the amount of rates currently outstanding. There has been considerable investigation of the legal issues surrounding the dispute and Council’s Rates Officer has made enquiries with other Councils to check this Council’s approach. Provided also that where new buildings or additions to existing buildings are after the commencement of the rating or taxing year erected upon lands subject to a rate upon the assessed annual value or improved capital value, such rate may be levied in accordance with fresh valuations of such lands made by the Valuer-General and notified to such authority at any time during the rating year in which such buildings were so erected. (2) Subject to this Act the amount of any such rate or tax shall not be affected by any alteration of valuation made during the year, except to the extent necessary to give effect to the provisions of subsection (1) or an alteration made on an objection lodged within the prescribed time to a valuation made before the said first day; and except an alteration made on the written authorisation of the Valuer-General for the purpose of correcting any clerical error or misdescription. Essentially Section 62 says that Council’s rate levy can only be based on values appearing in valuation lists furnished on or before 1 July of the year in which the Council levies the rates. There are good practical reasons for the provisions of Section 62 in that the State Government requires Council to operate within a fixed cap for rate revenue which is determined before the rates are made for the ensuing financial year. If Council were to incorporate supplementary valuations through revised rate notices throughout the rating year it would be impossible to operate within the nominated cap. Council has been consistent in applying this principle in all instances where the value of land may change. For example where subdivided land is registered within the financial year, Council does not levy rates (only charges) for those new lots until the following 1 July. A person can purchase subdivided land which may contain a dwelling on 2 July and not be liable for rates on that land until 1 July in the following year. The situation is the same as that in contention wherein the owner of the land subdivided after 1 July is responsible for rates on the original parcel until the following 1 July, notwithstanding its diminished value. It is agreed with Mr & Mrs Sheather and Mr McIlwain that the system may be considered unfair in creating “losers” but there are also “winners”. That is the system. Putting aside the law concerning the matter, from a policy perspective to act on supplementary valuations throughout the year would require significant additional work for Council staff and pose an issue as to the extent to which such an approach should be applied retrospectively. For example there have been many partial property acquisitions by the RMS for the Pacific Highway upgrade through the Nambucca Valley and the owners of the residual land could expect similar consideration. Of course the issue would not have arisen if the contractual arrangements between the RMS and the property owners had made provision for the reconciliation of the rates for the entire financial year, and not just up until the date of settlement. The responsibility for this is shared by the RMS and the particular ratepayers, not Council. In this regard the Council had no knowledge of the provisions of the contract and its representations to the RMS (both before and after this dispute) have not been accepted. There has been consultation with Mr & Mrs Sheather, with Mr McIlwain, with the RMS, with Council’s Rates Officer, and with other Councils. Mrs Sheather has also made further representations to the Mayor including that the matter be determined by the elected Council. There are no impacts on the environment. There are no discernible social impacts. There are no discernible economic impacts. There are significant legal risks and policy risks as outlined in the report. Section 435 of the Local Government Act provides that the Director-General of the Office of Local Government may, if satisfied that any expenditure or transfer, or any entry in a council’s accounts, has been incurred or made in contravention of the Local Government Act or any other Act or Regulation, surcharge the amount of disallowance on the councillor, the general manager or any other member of staff of the council by whom the expenditure, transfer or entry was incurred or made or ordered to be incurred or made. The report outlines the significant policy and financial implications of acting contrary to Section 62 of the Valuation of Land Act 1916. If the practice was to be routinely undertaken there is a likely to be an impact on current and future budgets. Further it would make budgeting more difficult as Council’s rate revenue could not be accurately determined at the beginning of the financial year. As discussed Council’s rate revenue would fluctuate through the financial year, depending upon the level of subdivision activity. As discussed there would be significant resourcing and staffing implications to continually act on supplementary valuations with revised rate notices. It is open to Council to make a submission on the Flying-Fox Camp Management Policy 2014 – Consultation Draft as it sees fit. On 3 November 2014, the NSW Minister for the Environment, the Hon. Rob Stokes MP announced, “a new strategy to minimise the impacts of flying-fox camps surrounding populated areas”. · Undertake camp management such as removal of trees that pose a health and safety risk, weed removal (including removal of noxious weeds), trimming of understorey vegetation and the planting of vegetation. The announced “strategy” is in fact a draft policy and the Office of Environment and Heritage (OEH) is consulting on the new policy with a closing date for submissions of 1 December 2014. A copy of the consultation draft is attached. The draft policy states that its overriding purpose is to minimise health impacts of flying-fox camps on people. The policy is to empower land managers, primarily local councils, to work with their communities to manage flying-fox camps effectively. The announced “new strategy” is more akin to a refinement of the existing approach wherein the relevant land manager seeking to control flying-fox, be it the Council or another public authority, will be required to prepare a camp management plan for approval by the OEH. Approvals via licensing will be valid for 5 years, which the policy says will “avoid land managers having to repeatedly seek approval from the State Government for camp management”. Presumably after 5 years the Council would need to submit a new camp management plan, even if the existing and approved plan had been successful. · Community considerations – identifies issues that have led to the plan being developed, including specific impacts of the camp on the local community which may include health, amenity and safety concerns relating to the camp. · Implementation – outlines how the camp management plan will be implemented including roles and responsibilities, planning for actions, timing, costs, monitoring and adaptive management and the plan review period. The draft policy states that to obtain approval, land manager will submit their completed camp management plan to OEH who will then “guide” the applicant through the necessary process for licensing. The statutory process is set out in a flow chart. The fact that the flow chart contains 21 separate boxes and a continuous loop indicates the licensing process is far from simple. In fact a critical element is a decision as to whether or not the proposed action is likely to have a significant impact on the species. If it is deemed that it will have a significant impact then a Species Impact Statement (SIS) is required. The technical staff resources required to prepare a camp management plan cannot be met within Council’s existing staffing compliment. In practice this will mean that Council will have to employ a consultant to prepare a camp management plan on its behalf. This will be at significant cost. Further if the recommended actions are not successful, presumably the plan of management would need to be reviewed and then resubmitted under the licensing process. There will also be conditions and restrictions attached to licences including the use of arborists at night (for lopping, trimming and removal of trees) and where dispersal of a camp is proposed there would be additional conditions requiring population counts and limits on the times when dispersal activities can be undertaken. By way of a response to the consultation draft it is recommended that Council seek a commitment of funding from the OEH to assist in preparation of camp management plans. In this regard the OEH should be advised that the NSW Treasury Corporation has assessed the Council’s financial sustainability as weak with a negative outlook (as per most Councils on the North Coast) and that funding the preparation of individual flying-fox camp management plans and obtaining and complying with the licence requirements every five years will be outside the financial capacity of the Council. There has been some interest from the media in the new policy. There has been consultation with the Manager Development & Environment. The new policy provides no substantive changes to the way in which OEH has managed issues with flying-fox camps. The proposed policy does have some value in better articulating the required procedures. There are no changes to the substantive legislation which underpins the Government’s approach to managing flying-fox issues. To the extent that the announced “new strategy” is more akin to a refinement of the existing approach to managing flying-fox camps, there is unlikely to be any significant changes to the social dimensions. These social dimensions include a polarisation of attitudes with many having strong views in favour of moving camps and others having equally strong views that camps should not be moved. There are no significant risks. It is a draft policy. The budgetary implications of preparing a camp management plans are discussed in the report. The preparation of the camp management plans would require a significant commitment of staff time to undertake consultation with the community and the OEH. 60 public submissions have been received – 30 oppose the proposal and 30 support it. “That Council allocate an amount up to $30,000.00 from the waste management reserves to undertake a desk top study into the expansion of the Nambucca Waste Management Facility”. This report now seeks Council’s direction in allocating additional funds to enter into negotiations with Forests NSW for the acquisition of land for the expansion of the Nambucca Waste Management Facility and the rezoning of the proposed land to enable waste management operations. 3 That Council resolves to prepare a gateway proposal to rezone the forestry land shown on the attached plan to SP2 (Waste Management Facility). One of Council's long-term planning strategies is the provision of future waste management facilities within the Shire. Current waste management operations for the Shire are serviced by the existing Nambucca Waste Management Facility at Lot 2 DP 1018234, 711 Old Coast Road, Nambucca Heads. Whilst there is still significant landfill life remaining at this facility, initial investigations on potential future landfill sites have identified the existing State Forestry land immediately adjoining the western boundary of the current Nambucca Waste Management Facility. If Council acquires the subject land, then all potential environmental, planning and engineering issues would have to be assessed in detail during the Environmental Impact Statement process. The following table identifies the Consultants conclusion from the desk top study for the proposed expansion of the Nambucca Waste Management Facility. A preliminary assessment was undertaken of the subject site to ascertain whether there were any obvious significant environmental or engineering constraints which could limit or prevent the potential development of the site as a waste management facility. The forest communities found at the subject site were not listed as threatened under the TSC ACT, and are not regarded as being a conservation concern. No endangered ecological communities (EEC) or critical habitats were listed or identified for the study area either. Two threatened species (Marsdenia longiloba and Niemeyera whitei) were identified which could potentially occur within the forest communities found at the site. However, provided appropriate ameliorative measures (e.g. translocation or an appropriate offset) were competently undertaken, then the proposed extension of the waste management facility was considered to be unlikely to have a significant impact on these threatened flora, if they were found at the site. A number of threatened fauna species were identified as either “likely” or “possible” to occur within the subject site, based on both the current vegetation communities at the site and previous sightings in the general area. However, subject to appropriate ameliorative measures being satisfactorily implemented, then the proposed extension of the waste management facility was considered to be unlikely to have a significant impact on threatened fauna. The subject site is presently zoned Zone RU3 Forestry under the provisions of the Nambucca Local Environmental Plan (NLEP) 2010. This zoning does not permit the use of a waste management facility. Council will therefore need to prepare an amendment to the NLEP 2010 to rezone the subject site to SP2 (Waste Management Facility) under the gateway process. The EPA confirmed the approval of the site for a waste management facility would require the preparation of an EIS which satisfactorily addressed both the legislative requirements (i.e. land use zoning, flora and fauna, Aboriginal and heritage matters, etc) and the EPA environmental guidelines (i.e. the operational and management measures for the waste management facility extension). Based on the current operational performance of the present NWMF, there are no obvious indicators that these issues could not be suitably addressed by appropriate management techniques, including suitable buffer zones. There were no major reasons raised by Forests NSW regarding why the subject land could not be acquired by Council. Based on the Environmental Impact Statement prepared for the current Nambucca Waste Management Facility in the late 1990's, it is expected there would not be any significant Aboriginal or heritage matters which would adversely impact on the future development of the land. 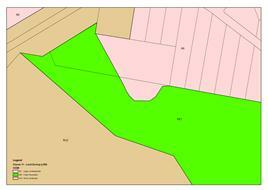 A Large Lot Residential Area (Zone R5) is located to the west within 250 metres of the subject site. However, based on the location of the rail corridor, topography (i.e. a ridgeline) and vegetation (i.e. forested land) between the residential land and the subject site, in conjunction with appropriate design standards and management measures, it is considered that the extension of the waste management facility would be feasible, although the final extent of landfilling would have to be determined during the EIS phase of the project. Based on a conceptual landfill design over the subject forestry land to be acquired, as well as the area on Lot 2 to the north of the approved landfill area, and the Stage 3 area at the current NWMF which has not yet been landfilled, an estimated 5.1 million m3 of overall landfill space is potentially available (although no consideration has been given to the staging of the landfill operations or the inclusion of other facilities in the concept design). In addition, approximately 1.4 million m3 of material would need to be excavated to form the landfill floor, based on the conceptual landfill design. This material would be used as a cover material within the interim and final capping layers of the landfill site. It is therefore concluded that although a number of potential constraints were identified for the subject forestry land, with the implementation of appropriate mitigation measures there are no obvious significant factors which would prevent the development of a waste management facility on the land. Due to the size of the consultant’s report it was unable to be attached. It can however be made available upon request. It is recommended that Council enter into formal negotiations with Forests NSW for the acquisition of the forestry land shown on the attached plan. Following the negotiations it is anticipated that Council would resolve to compulsorily acquire the land under the Land Acquisition (Just Terms Compensation) Act 1991. At that time it would resolve to categorise the land as “operational” and resolve to proceed to prepare and submit a development application or Part V Statement of Environmental Effects (as appropriate) to use the land as a waste management facility. There has been consultation with the General Manager and Assistant General Manager Engineering Services. Given there have been some meetings and discussions concerning the further development of the Coffs Coast Waste alliance, it is recommended that Bellingen and Coffs Harbour City Councils be advised of this Council’s actions. The preliminary investigations indicate there will not be a significant environmental impact. However further investigations will be required as part of the development application of Part V assessment. It is proposed to notify adjoining owners of Council’s intentions. Securing adequate land fill space for the Nambucca Valley is an important strategic planning activity that will ultimately provide substantial social and financial dividends to the community. These dividends arise because the alternative of extending the existing landfill will almost certainly require planning for a new site. Obtaining a new site with large buffers from nearby dwellings will be difficult. This will in turn likely engender significant community opposition and additional costs in not only responding to the opposition but also installing the required infrastructure such as a weighbridge, gatehouse, amenities and the like. There are some risks in not obtaining approvals from the many authorities involved in the process, eg from the Minister for Local Government for the acquisition; from the Minister for Planning and Environment for the rezoning; from the EPA for licensing etc. There is also the possibility of resident action through the Land and Environment Court. Given that the process described in the recommendation will extend over a very lengthy period, it seems to be the best way to minimise Council’s risks. At this stage there will only be minor budgetary impact being the payment by the Waste Fund to the General Fund of the application fee for the preparation of the Gateway Proposal. Staffing resources will be required to prepare the gateway proposal as well as in the negotiations with NSW Forests. The attached report, produced from Council’s computer system, Authority, is for the information of Councillors with regard to approved Construction and Complying Development Certificates for the month of October 2014 as at 6 November 2014. Attached is a list of Development Applications and Complying Development Applications received in October 2014 as at 6 November 2014. Fit for the Future self-assessment tool, templates and guidance material to assist councils to complete their Fit for the Future submissions have now been released. The self-assessment tool is used to review Council’s current performance (until 30 Junes 2014), it indicates Council currently meets the benchmark rating in two of the seven ratios used. The ratios are based on General Fund only, water and sewerage sustainability are accessed using a different process. This is a starting point in the development of Council’s Fit for the Future submission which is due 30th June 2015. The time line below is taken from the guide to completing the Council Improvement Template and describes the recommended process to developing the submission. This report is for information, no options are offered. This report is to inform Council of the results from the Fit for the Future self-assessment tool. The tool and other guidance material were released by the Office of Local Government late Friday, 31st October 2014. The results are the “first cut” and may be subject to further refinement if additional guidance is received. The results can be considered a reliable indication of Council’s performance against the benchmarks. A copy of output from the self-assessment tool is attached. An action plan for the preparation of Nambucca Shire’s Fit for the Future submission will be developed for Council’s consideration. The ratios all relate to financial sustainability. The Draft Final Community Facilities and Public Open Space Study has been completed by Suter Planning; a pre-final draft copy was distributed to Councillors on 23 October 2014 for consideration of the study’s main findings. The only difference between the pre-final draft distributed earlier and the version attached to this report is the addition of the executive summary, photographs, maps and formatting and correction of typographical errors. Council is now being asked to identify any required changes before the Draft Final study is released for public comment beginning 4 December and ending 29 January. There is no statutory requirement for the study to undergo public consultation, however there was a large degree of interest in the study by community groups and they are likely to have an interest in the study’s recommendations. The study generally finds the level of provision of community facilities and public open space sufficient for the population of Nambucca Shire, and recommends focussing on the maintenance and improvement of existing facilities as opposed to provision of new. Following public consultation and the consideration of comments received, the final study will be recommended for approval by Council. The final study will provide input into the review of the Community Facilities and Public Open Space Development Contribution Plan. The review will be completed in early 2015, with an update of population projections for Nambucca Shire as well as the development of a new works schedule. The draft CFPOS Contribution Plan will be subject to 28 days’ public consultation. 2 That following these changes, the Draft Final CFPOS study be on public consultation from 4 December 2014 to 29 January 2015. That Council not approve the draft final study go to public consultation and that more work is required before the study is ready for release. Suter Planning conducted the study into the Shire’s current and future community facilities and public open space needs. The main aim of the study is to inform the review of the Community Facilities and Public Open Space Contribution Plan 2008, specifically the development of the new works schedule, an integral part of the plan. The information gathered in the study will also be used in a range of other contexts, including community strategic planning under the Local Government Integrated Planning and Reporting Framework and land use planning, as well as supporting future grant applications. The consultation associated with the study to date included three community workshops and two staff workshops. Surveys were distributed via Council’s website, by mailout to relevant Committees of Management and to area sporting groups. 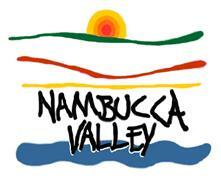 § Nambucca Shire has a high provision of community facilities and particularly community halls. Additional facilities are therefore unlikely to be required, unless this is to replace an existing facility. § A number of the community halls are ageing and declining in condition and some appear to receive limited use. Strategies that broaden usage and increase the community benefit of community halls are required, or some halls may need to be consolidated if they cannot be maintained. § Whilst there is a high provision of community facilities in the Shire, it will be important to provide some community facilities across the non-urban and rural areas given around 35% of the Shire’s population live outside of the main towns. However, it will also be important to ensure facilities are well used to ensure the best use of limited resources. § A targeted approach to upgrading and resourcing community facilities is required taking hierarchy, community benefit and priority needs into consideration. This includes identifying key facilities that justify improvements such as the libraries, the aquatic centre and the main community centres. § Council and communities do not have the resources to upgrade all facilities with existing available resources. Community commitments and opportunities for social enterprise will be essential to maintain and achieve improvements to community facilities. 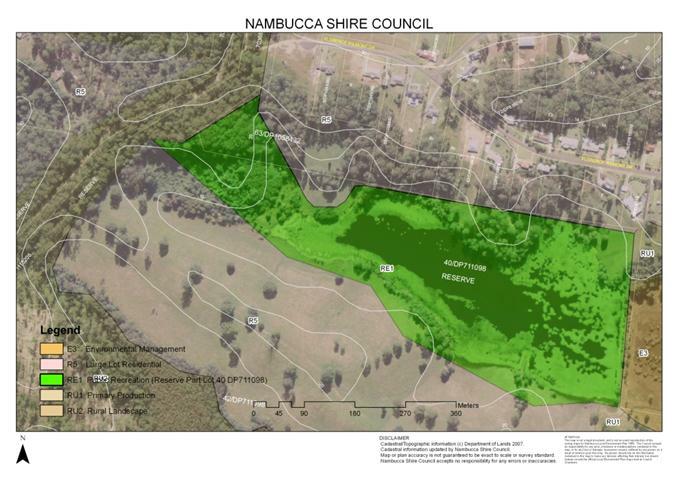 § Nambucca Shire has a high provision of open space and particularly natural areas and sportsgrounds. As such, additional open space should not be required as the population grows, except to cater for the immediate local needs of new development areas or if the land has conservation or connectivity significance. § Whilst the provision of open space is high, the Shire does not have an overly high provision of recreation open space and the quality of recreation parks is relatively poor. An emphasis should therefore be placed on enhancing recreation parks and creating some higher level recreation destinations that cater for residents and attract and support visitors. § There is potential and justification to increase and enhance playgrounds (to create more innovative playspaces) and broaden the activity opportunities for young people through facilities within recreation parks such as basketball keys, bike jumps and paths suitable for bikes, scooters and skateboards. § There is potential to increase the quality of sportsgrounds in the Shire and in particular there is a need to upgrade and consolidate buildings over time. Many of the sports club buildings are not being well maintained by the users and strategies for achieving improved buildings and infrastructure are required. § The natural environment is highly valued by residents and visitors and as such should be protected and maintained. Some natural areas require rejuvenation and there is potential for natural vegetation and wetlands to be increased in the urban areas, e.g. urban forests and habitat corridors where the land is less suitable for sport or recreation. § Trails and footpaths are important given the potential high participation in walking and cycling and in response to community feedback. Opportunities for increasing the ‘walkability’ of towns should continue to be identified. § Opportunities for supporting visitors and increasing activity opportunities within natural settings such as boat ramps, canoeing and kayaking launch sites, managed camping areas and walking and cycle tracks, should be considered to strengthen tourism and broaden activity opportunities for residents. § Vandalism within open space and particularly to amenities and buildings is a major issue and strategies that reduce the risks need to be considered. The study provides strategies for improving specific facilities which are too detailed to relate here. The study also includes separate appendices which contains the study methodology, contributing reports, and consultation outcomes. Please note that there are technical issues with the mapping which Council’s GIS Officer is fixing and some of the maps are wrong. There are no impacts associated with the environment in relation to this report. The study will help ensure the community facilities and public open space works identified in the CFPOS plan meet the needs of the community. There are no impacts on current and future budgets associated with this stage of the study. Anticipated interest return for financial year is $1,158,397. The budget allocation for the financial year “2014/15” is $1,315,100. · $ 0.516 Million in a Floating Rate Note. This report details all the investments placed during October and Council funds invested as at 31 October 2014. This report details all the investments placed during October 2014 and Council funds invested as at October 2014. That Council may not meet its budget returns for 2014/2015 based on current performance. This report provides Council with a progress update on Macksville Fun and Fitness Precinct Project following the receipt a substantial grant of $975,565 from the NSW Government ClubGRANTS Category 3 Scheme. The proposed works have been consulted with all the stakeholders using the facilities and they have agreed to the scope of the works proposed by Council staff. · $125,000 from Section 94 Contributions. The grant is for an upgrade to the existing facilities in the park as well as value adding new infrastructure, making the precinct a modern and more easily accessible space for the community which will bring together the entire area into a redeveloped fitness precinct. · The staff who contributed to the components of the grant has met as an internal project team to discuss the concept design, scope of works, risk management, asset management and the delivery of the program. · A project manager funded under the grant has been engaged (Mr John Hembry) to manage the tenders and design and delivery of the project. · Letterbox drop to the residents along Willis Street advising them of the works. · Consultation with stake holders (as listed under consultation within this report) the design layout has been completed and will be presented to Councillors at this meeting for their information. · Removal of designated trees and commencement of walking/running/cycle trails adjacent to the netball courts. · Brief developed and quotations will be called for the design of the skate park during November. A preferred company will then be engaged for the design with tenders anticipated to be called for the construction in February 2015. · Brief developed and quotations will be called for the design of the community recreation room during November. A preferred company will then be engaged for the design with tenders anticipated to be called for construction in February 2015. · Brief has been developed for the design of the lighting and discussions held with potential suppliers. Design to be developed with tenders anticipated to be called for construction in February 2015. · Residents of Willis Street (advising of tree removal and new lighting). A number of trees have been identified for removal and will be replaced with suitable trees that will provide shading/screening to the area and not cause damage to infrastructure. Landscaping has included low maintenance native shrubs/plants. There social benefits associated with the project providing a modern and easily accessible space for the community which will bring together the entire area into a redeveloped fitness precinct. There are potential economic benefits with tourists or passing traffic stopping to utilise the area as a rest break. Council under the Local Government Act and Regulations require a tender for a number of the components. Council has committed funding towards the project within the 2014/15 budget. There is no variance to working funds associated with this report.